StateImpact Indiana’s report on WTIU’s Indiana Newsdesk summarized the back-and-forth between the state’s top education policymakers. 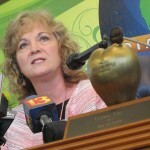 Superintendent of Public Instruction Glenda Ritz filed a lawsuit Tuesday accusing members of the State Board of Education of violating Indiana’s open meetings law. 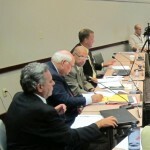 Board members say the allegation is unfounded. Attorney General Greg Zoeller says the lawsuit is “unauthorized.” Ritz says she’s open to negotiations, but is committed to taking the case to court if necessary. On WTIU’s Indiana Newsdesk, we recapped the wild education week that was. You can watch the video here. We’ll keep you posted on any new developments. We’ll also address the tensions between Ritz and the board in the feature we’re sending out for broadcast on Indiana’s public radio stations later this week.